Arkansas personal injury law has a few state-specific differences than other states. Below are the most common personal injury laws in the state of Arkansas. Understanding your compensation rights and getting the help from the right Arkansas personal injury attorney is your first step towards filing a successful Arkansas personal injury claim. The Arkansas statute of limitations for filing personal injury claims is 3 years. Arkansas medical malpractice statute of limitations is 2 years, and product liability claims in Arkansas is 3 years. Arkansas statute of limitation laws are subject to change. 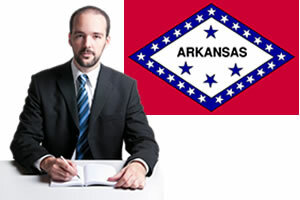 Contact an Arkansas injury attorney for definitive statutes at the time of your accident or injury. Fault states have laws which require all parties involved in the accident to prove fault before the insurance company will make payments. Arkansas does allow an "add-on" no fault automobile personal injury protection as optional coverage. The PIP coverage pays benefits to the injured party without regard to who caused the accident, but the driver can sue (and be sued) for accident-related injuries and pain and suffering. Arkansas modified comparative negligence laws allow an injured party to receive compensation for their loss only if they are less than 49% at fault for the injury. If the party is 50% or more at fault they cannot recover damages. If they receive compensation, it is reduced by the degree of their guilt. An Arkansas injury attorney can answer questions about modified comparative negligence law. Are there Damage Caps in Arkansas Injury Law? There are no limitations for compensation for an Arkansas injury case. Arkansas Constitution Article 5, § 32 states, "No law shall be enacted limiting the amount of damages to be recovered for injuries resulting in death for injuries to a person." Workers compensation, for injuries occurring on or after January 1, 2008, the weekly benefits for death or permanent total disability cannot exceed three hundred twenty-five (325) times the maximum total disability rate at the time of the injury. Speak to an Arkansas injury attorney for more information if you would like to file an Arkansas injury case.